We asked prominent chefs working today to tell us what they would share with this unborn chef. This is Nico Romo’s “Letter to an Unborn Chef”. Nico Romo has directed Patrick Properties’ celebrated culinary programs across four historic Charleston venues since 2007, reimagining classic French cuisine with delicate Asian touches and locally harvested ingredients. Chef Romo was most recently named a Monterey Bay Aquarium 2014 Sustainable Seafood Ambassador – recognizing the commitment to ocean-friendly seafood and Lowcountry fishermen that shapes his seasonal menu at Fish Restaurant in Downtown Charleston. He also attended the James Beard Foundation Chefs Boot Camp for Policy & Change with a focus on seafood advocacy, selected from more than 450 applicants nationwide. Among other distinctions, he hosted both the 2013 JBF Award semifinalist announcements and Chefs Collaborative National Food Summit in Charleston and cooked alongside celebrity chef Daniel Boulud at Le Taste of France in New York’s Bryant Park. Past appearances include the Culinary Vegetable Institute, De Gustibus Cooking School and his sold-out dinner at the famed James Beard House. 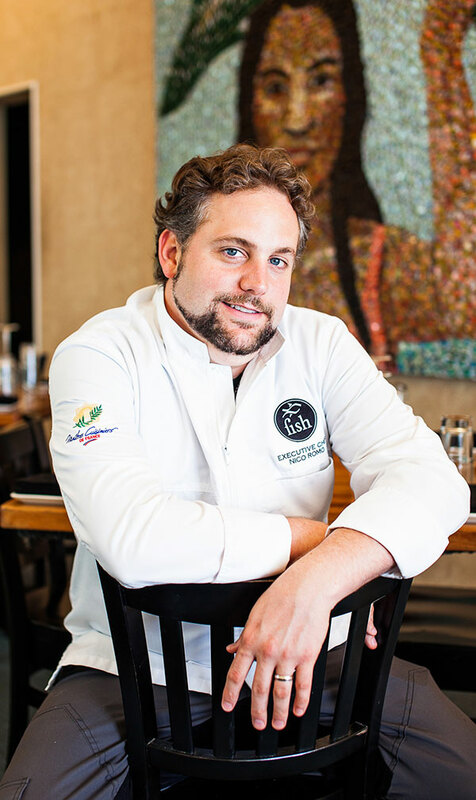 Born in Lyon, France, Chef Romo is the youngest-ever US member of The French Culinary Academy (l’Académie Culinaire de France) and Master French Chef (Maîtres Cuisiniers de France) – one of just 65 French Master Chefs nationwide, and the only recipient in South Carolina. Both elite international assemblies comprise the most highly skilled chefs in techniques and traditions of the French culinary art. Episode | Nick Anderson's "Letter to an Unborn Chef"